We have a tradition in our family. Every Thanksgiving, after everyone else has gone home and we've had leftovers for dinner, the boys and Jayson build a gingerbread house. 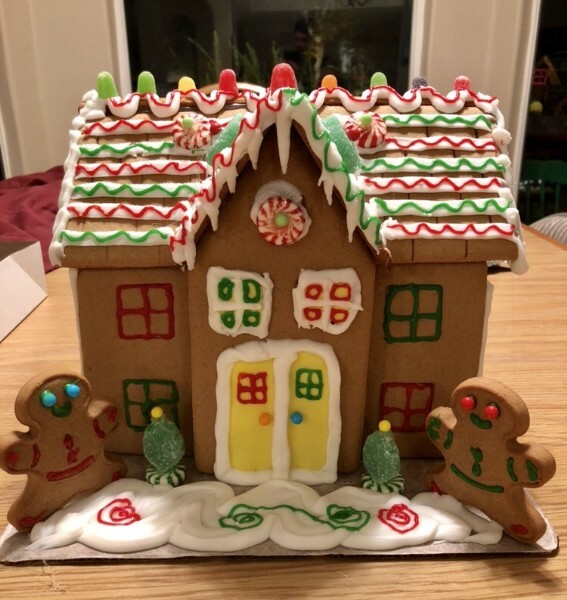 After years of trial and error and watery icing and roofs sliding off, we've perfected the dream gingerbread home (special thanks to my husband's engineering background and my mother-in-law's glue gun!). The annual building of the gingerbread house signifies our transition from Thanksgiving to Christmas, because before that project, I do not want to see, hear or feel Christmas. I love Thanksgiving, and I want to enjoy it before the consumer onslaught that has come to define the Christmas holiday. I was just talking about this with my older son this morning. We were in the car and he was joking that I was finally okay with playing Christmas music in the car. I reiterated to him that it's not that I don't like Christmas, but that the meaning of Christmas has been thwarted by our all-consuming desire for presents and gifts and ME-ME-ME and all I want for Christmas. It's overwhelming and makes me sad. 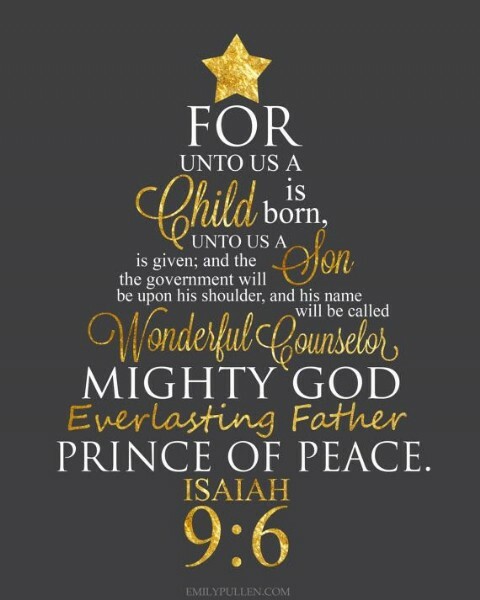 The true meaning of Christmas is Christ's birth and the hope and eternal salvation that we receive through Him. That's our real gift. That's where our focus should be. We can still decorate and have fun and everything else, but our spotlight should always remain on Jesus. Visit a loved one, relative, family friend or church member who lives alone or in an assisted-living facility or nursing home. Take them a treat or some flowers. Brighten their day. And do it more than once. Random acts of kindness always put a smile on the face of the giver and the receiver. Buy a coffee for the person behind you in the drive through. Shovel your neighbor's walkway or bring in their trash bins. Pay a compliment to a stranger. Carry someone's groceries to their car. Spontaneously read a story to kids at the book store. Get creative! Show support to your local law enforcement and first responders. Take some brownies to the police station or fire department. Write thank you notes to paramedics. Encourage your kids (or model for them) how to show appreciation for the bravery these men and women display every day. Send a letter or care package to our soldiers overseas. One way to do it is through Operation Gratitude. You can even adopt a soldier. Think back to the holiday traditions you grew up with. Maybe you can renew them with your children or incorporate them into your family's current celebrations. Growing up, my family always celebrated Christmas on Christmas Eve. Now we celebrate on Christmas day, but we have our kids open one gift on Christmas Eve. It reminds me of when I was a kid. Go caroling. I know it seems cheesy; I can't even sing! But I love caroling with my church family to the precious elderly members of our church who are homebound. It is hands-down my favorite thing to do all year. Seeing their eyes light up, or hearing them sing along, will fill your heart. Constantly and consciously think outside yourself. Who needs some extra love this season? Is there a single mom or dad trying to make ends meet? A widow or widower feeling a deeper loneliness than usual? Buy gifts for their kids and for them. Drop off a couple of frozen meals. Watch their kids so they can go shopping or treat themselves to a manicure. Take them to lunch or coffee and let THEM talk. Pray for them and with them. Keep an Advent calendar or light an Advent wreath at home. Read the story of Jesus's birth on Christmas morning. Get a birthday cake and sing Happy Birthday to Jesus on Christmas day (little ones love this!). Volunteer at a soup kitchen, women's shelter, or hospital. Take your kids with you (call ahead first). Lend a helping hand wherever you can. Slow down and keep it simple. You don't have to attend every single holiday event you are invited to. Be intentional about how much running around you'll be doing this season. Continue the gratitude. We focus on being thankful leading up to Thanksgiving, but it doesn't have to end when the turkey's gone. Keep up an attitude of gratefulness. 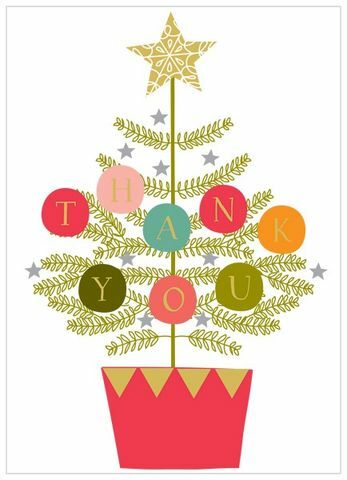 Say thank you often, send a note, show appreciation however you like. Remember your blessings every day, all year long. Christmas is a special, magical time of year. It's Christ who makes it that way. Honor Him this season by remembering Him in everything you do as you celebrate the season. Bunk beds, zip lining, eating scones made from scratch, worshiping in two languages, and understanding a new title - Ambassador - all in less than 48 hours.